This collection features three new metallic colors with coordinating glittery glazes. The fun part is you can mix and match to your hearts content. 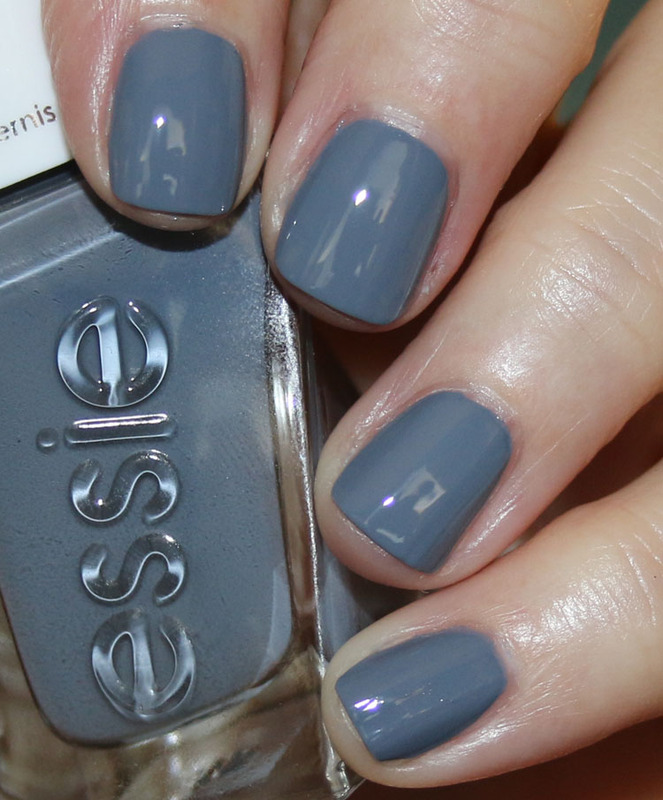 The metallic colors are really nice and you get complete full coverage in just two coats. The glazes are a little less opaque since they don’t have a base color, but they are really jam-packed with colored glitter and holographic bar glitter. Izzy is a really pretty metallic pink. It glows and applies like butter! 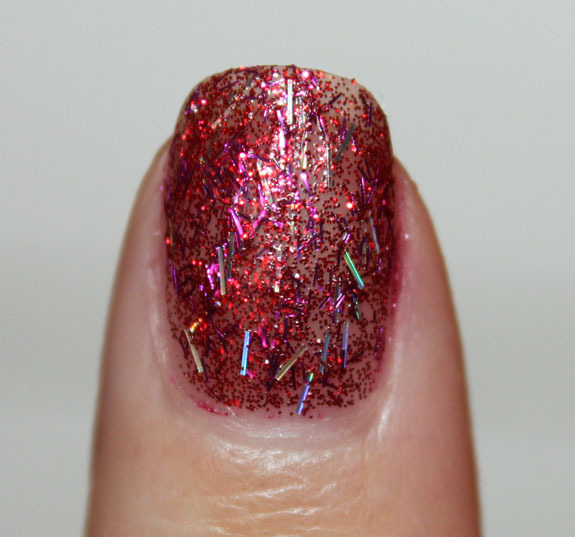 Kissy is packed with pink glitter and lots of holographic bar glitter. 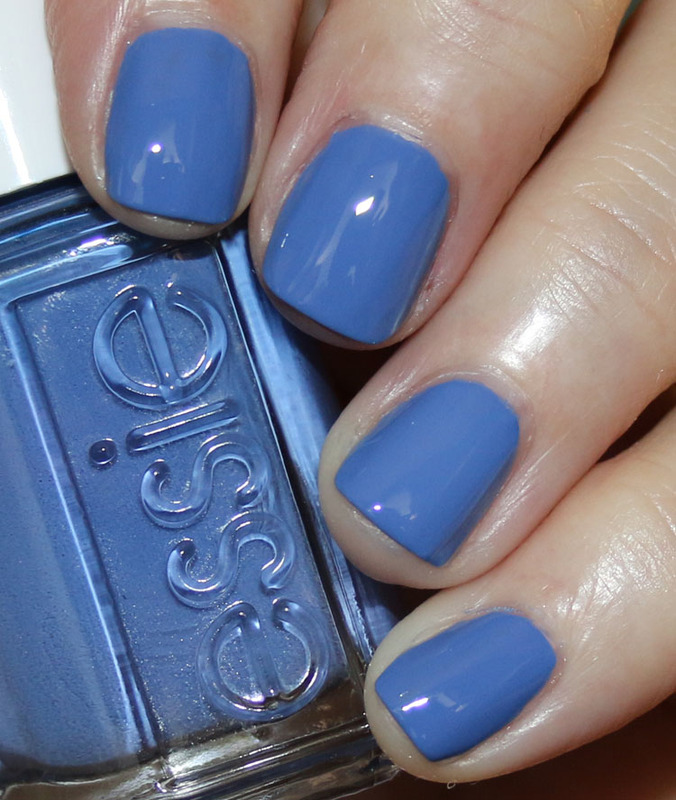 You do get good coverage with this in two coats, which is what I used here. 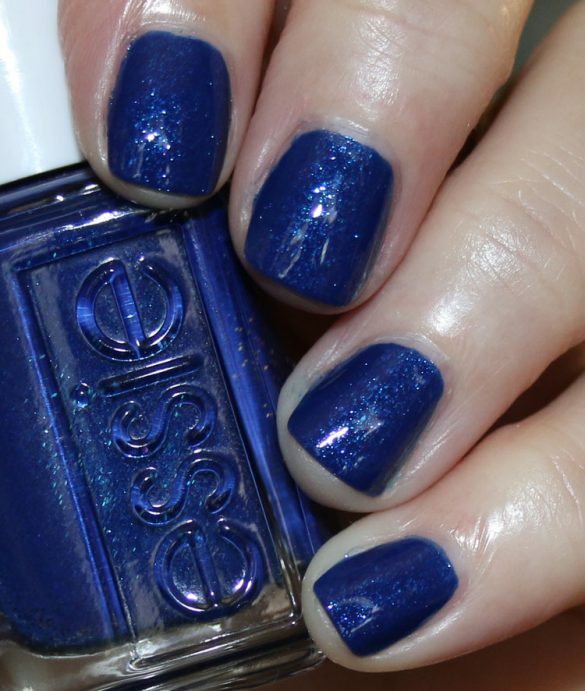 I like them best when combined together because you get maximum base color and loads of sparkle! 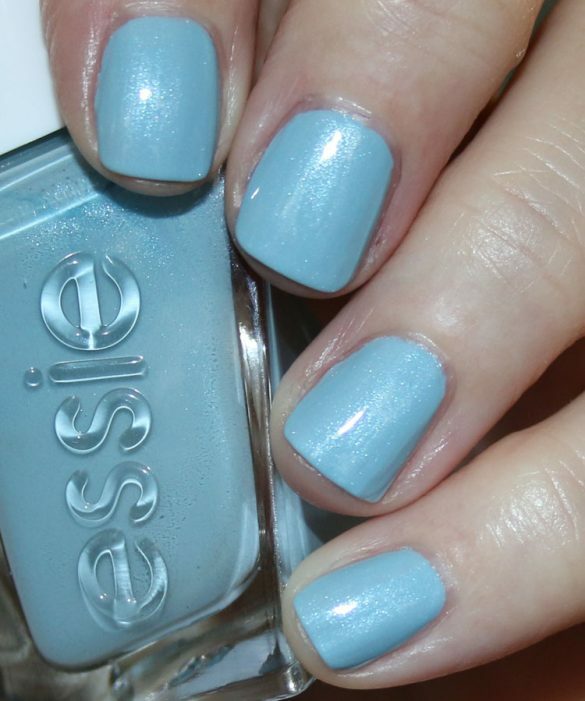 Noel is an icy blue medium metallic. Again great coverage in just two coats. 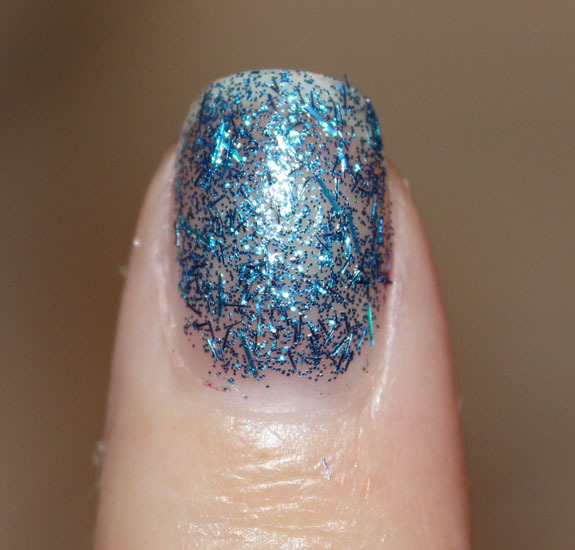 Twila is packed with blue glitter and holo bar glitter that mostly looks blue and green to the eye. This was two coats. Again I like the combination of this one, but perhaps not as much as the other two colors for some reason. 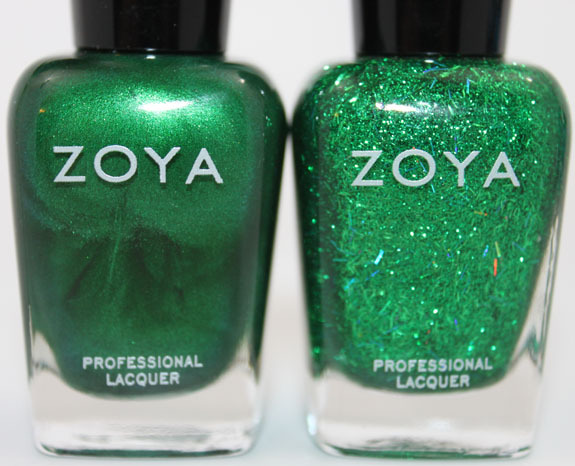 Holly is a GORGEOUS metallic emerald green. Just completely glowing and perfect in two coats. 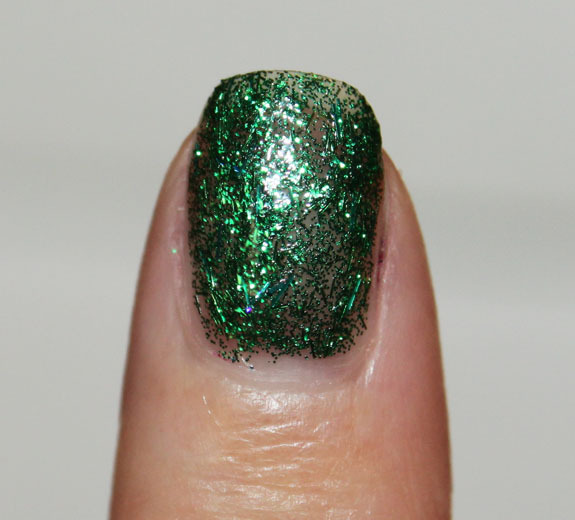 Rina has loads of green glitter and holo bar glitter. This was two coats and pretty good coverage. This is my favorite combination. I just love Holly and that’s probably why I like this the best. Fun collection I think. I really like Izzy and Holly by themselves, really pretty saturated colors. I think the glitter glazes are a fun way to do something different for the holidays. I normally am not a fan of bar glitter but I like it better when it’s holographic! Ok folks I want to hear from you! What do you think about Gems & Jewels? Will you be picking any of these beauties up? OCC Pretty Boy Lip Tars for Fall 2011 Swatches, Review and Mix Ideas! Rina reminds me sooo much of tinsel from Christmas time, the solid colors are all beautiful. It would be cool to see the glitters over light colours! I want them ALL. I have to point out that your camera doesn’t really pick up the holographic bar glitter well…it looks mostly just the same color as the rest of the glitter. This is NOTHING like it looks in person. I love this collection so much! Actually I think it picks it up pretty accurately compared to what I see with my actual eye when I look at the bottles. Kissy is much more holographic than either Twila or Rina and my camera definitely showed that. I’m wearing them all now and I see soooooo much more holo in the green and blue. It shows up more in Kissy, but it shows in Twila and Rina way more than the photos. Huh not in my photos or anyone else’s I have seen. Interesting. These are so gorgeous! It would be cool to mix and match the glitter glazes with different colors. Love! I need Kissy, since that is probably the closest to my name I will ever get! They look gorgeous! I can’t wait to get these!!! In my extensive stash, I have no holographic bar glitter. These are totally a party in a bottle. I cannot pass them up! Nice photos. I’m wanting Holly, Noel, Kissy and Izzy. But I love all of them! i like the solid metalics, but i think i’ll pass on the bar glitters. kinda makes the nails look hairy. hehe, it’s totally just a personal preference. i’m in love with glitters at the moment, but perhaps it’s limited to round/hex glitters. No. No and no. It’s too sparse (the glitter) and I’m not a fan of the bar glitter personally. GAHH! I really don’t like this collection. 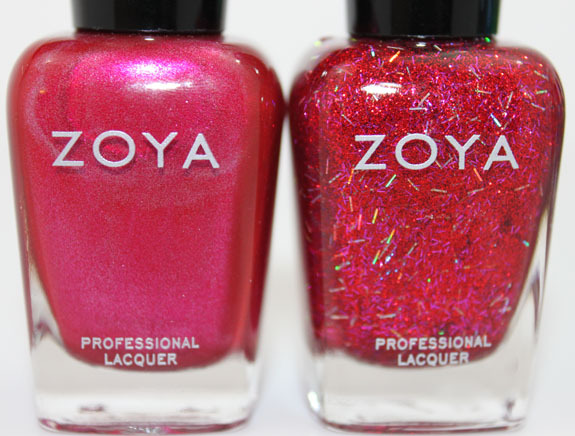 I want to get Zoya’s Holly to add China Glaze’s 2010 Party Hearty on top! I think I will enjoy this look better than with Zoya’s Suvi or China Glaze’s Jolly Holly. Holly, Rina, Twila & Noel. The pink is…well, pink. I’ll probably pass. The blue and green though? TO DIE FOR! I was thinking the same thing! 🙂 Tinsel! These bar glitters look so fun and different – I hope to get all of them. Wow those metallic polishes are simply stunning! I can’t wait to get my hands on them. I like the inclusion of bar glitter. It’s unique and a nice change from the common circular glitter chunks. I’m going to buy them all. Holly & Rina are my favorites also. Thank you for such wonderful photos. Your the best!! 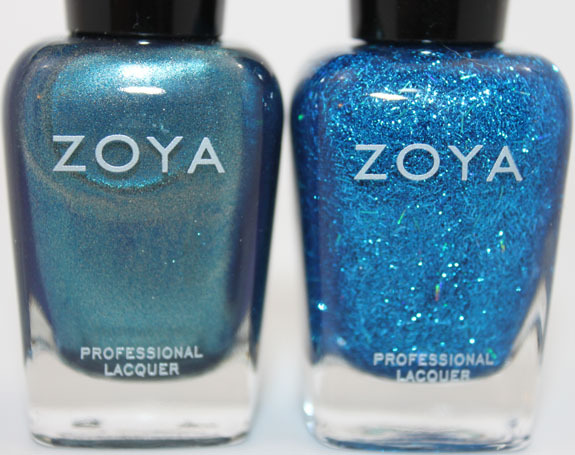 I just can’t get into the bar glitters, but zoya makes gorgeous green and blue polishes. Holidays already, it’s not even fall yet!!!! Haha these aren’t really impressing 🙁 I was expecting more from the glitters. Those greens are to die for! Not a fan of bar glitters. I prefer the metallic colors as they are. Love the colors of all 3 metallic polishes, but I’ll be passing because I am not a fan of metallics. I’m not 100% sure I need any of the bar glitters, but I’m still contemplating it. I do love that the glitters look like tinsel though. Pefect for a holiday collection! Ooooooh, I do so love the combination of Rina and Holly as well!! I love Noel, too. I’d love to play around with combos with these. I wonder if Kissy and Holly would go well together or if it would just look weird, given the level of coverage you get with the glitters. friggin’ look at that GREEN!! Yay! I’ve been waiting for them to do my name… and it’s beautiful to boot! I had half kinda hoped that they’d do something other than a green or red (and something other than a holiday collection), but really, it is a lovely color and I’m excited! These are pretty cool. I can’t remember the last time I wore a bar glitter. What are they like to remove? Because normal glitter is annoying enough to get off. Cannot wait to get my set of these when they are released for sale…I need to use up $10.50 of spoon credit by 9/30 – I don’t think these are going to be out until Oct however. I don’t think I’ve ever seen such perfect nails and I want to copy everything you do!! 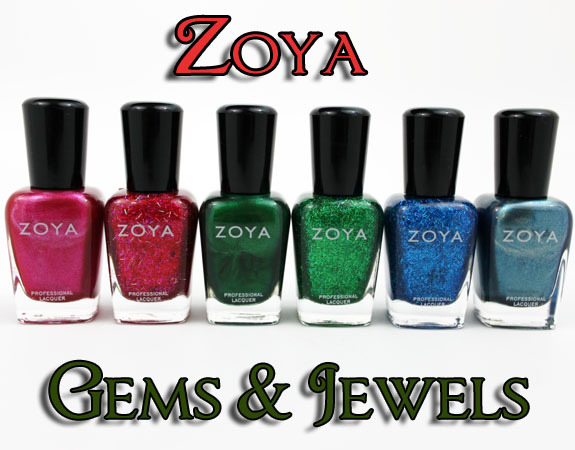 I love these Zoya shades … perfect for christmas clients! The bar glitters really creep me out, actually. They look like hairs or bacteria or bugs or something like that. 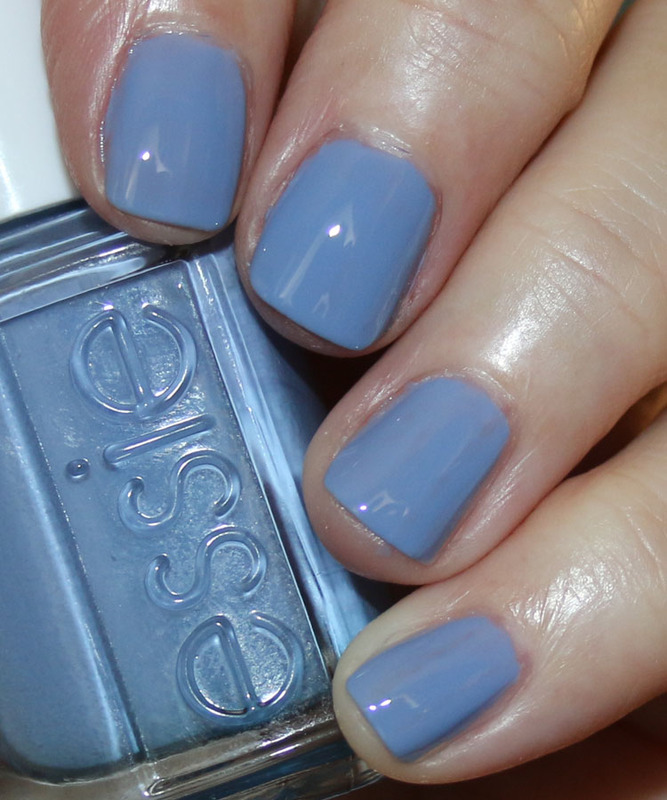 They do look a little less creepy when layered over an opaque polish, but…brrrr. Pass. I do really, really like Holly, though.